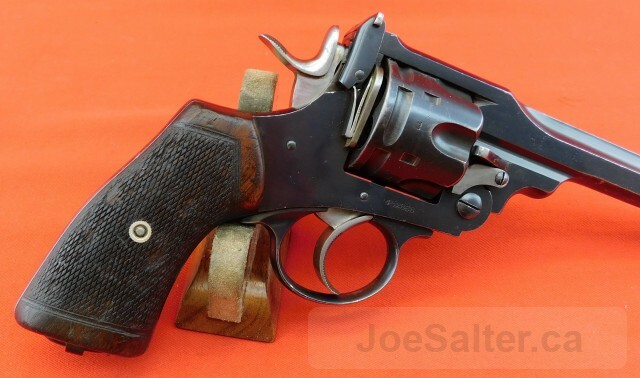 We are pleased to offer a very scarce if not rare variation of the Webley WS target revolver. 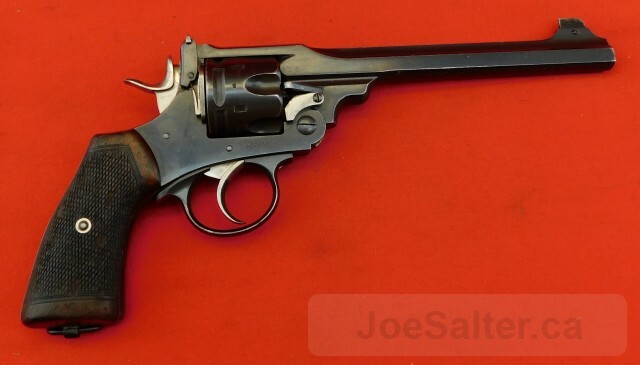 This piece shows the 7 1/2" barrel with a bright excellent caliber 455 bore. 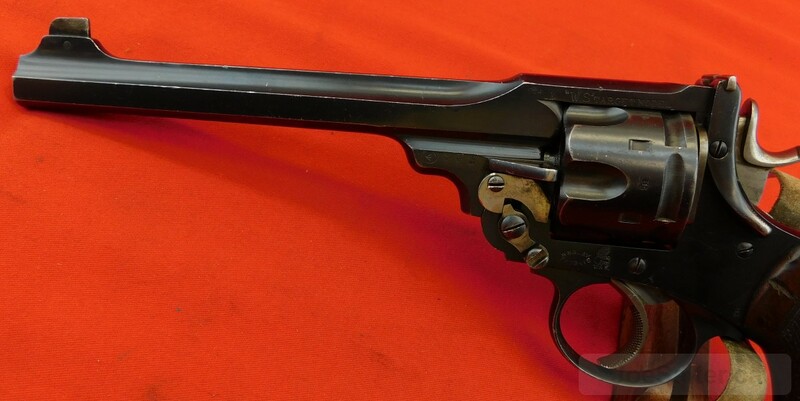 This revolver shows a Canadian C broad arrow property mark on the left side of the frame forward of the proofs. 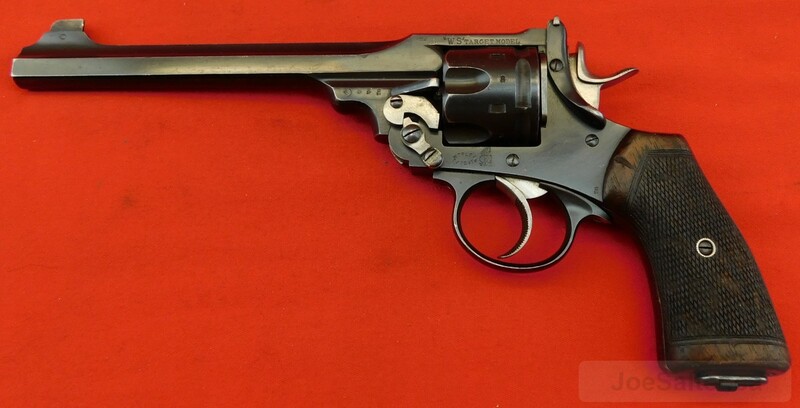 This example must be one of a very few target pistols as acquired by Canada for military match shooting. This piece is from the 1930's close to the end of production. In addition it is one of only 88 revolvers from the special order 12 ", as shown on page 138 of "Webley Revolvers " by Bruce and Reinhart. It shows the serrated trigger and high polish,cam, levers, hammer and trigger. This piece retains 90% original blue. The grips show normal usage marks. A scarce Webley and very scarce Canadian mlitary revolver. 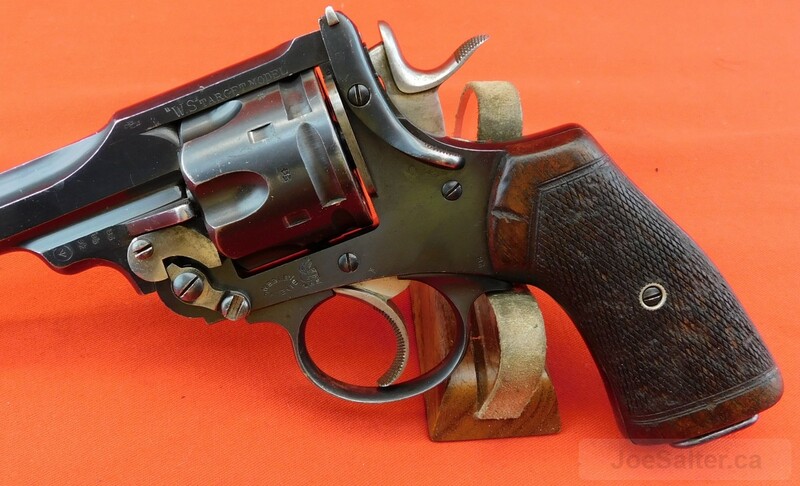 SN 452868 (Canadian Sales Only) Restricted Status.